Welcome to the James B. Duke Memorial library's computer science research guide. You will find here links to resources about programming, networks and web design. There is also a selection of links to free online tutorials, courses and books. Need to find out if JCSU subscribes to a specific magazine, newspaper or journal? Use this search tool to find out about JCSU Library's print or electronic subscriptions for magazines, newspapers or journals. Trustworthy Cloud Computing introduces the topic of cloud computing with an emphasis on the trustworthiness of cloud computing systems and services. This book reviews several cloud computing platforms, including Microsoft Azure, Amazon, Oracle, Google, HP, IBM, Salesforce, and Kaavo. The author addresses the problem of trustworthiness in cloud computing and provides methods to improve the security and privacy of cloud applications. 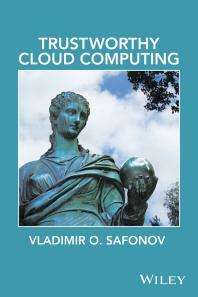 Contains practical examples of cloud computing, test questions, and end-of-chapter exercises Includes presentations, examples of cloud projects and other teaching resources at the author's website (http://www.vladimirsafonov.org/cloud).